Speaker manufacturer Klipsch has announces its new Gallery series wireless media sound systems and minimalist home theater speakers which was designed with “modern décor in mind” and promise to deliver deep, powerful bass and crystal-clear dynamic range. The new series features Klipsch’s exclusive Tractrix Horn technology which provides a unique combination of precision, clarity and effortless power. IT includes four slim, passive speakers (G-12, G-16, G-28 and G-42) which name also represents its particular speaker’s size in length and can be configured as a left, center, right or surround speaker. The Gallery series also consist and three wireless-new media sound systems – the Gallery STUDIO, Gallery FORUM and Gallery ARENA which utilize Wi-Fi network for connection and features AirPlay technology, so you can enjoy your entire iTunes library. 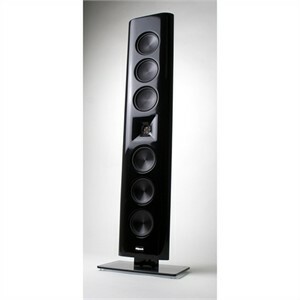 The Gallery series is available in a high-gloss black finish and is scheduled to be delivered in spring/summer 2011.